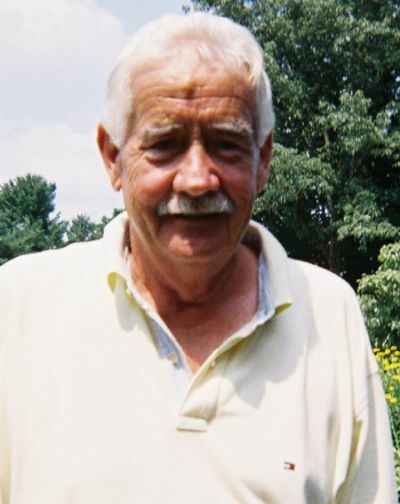 Evan Tracy Stallard was born August 31, 1937 in Coeburn, Virginia. The tall right-hander signed with the Boston Red Sox in 1956, and pitched in the minor leagues for four years. In 1959 he posted a 1.68 ERA with a 9-4 record, marking his best minor league season. In 1960 he pitched at A ball Allentown going 4-5, moving up to AAA Minneapolis where he was 7-11 as the Sox gave him a September call up. He made four brief appearances in 1960, getting out all 15 batters he faced, striking out six of them. In 1961 he pitched in mostly relief earning two saves without getting credit for a win until August, when he was being used as a starter. He was pitching well against right handers but struggled against lefties. Stallard lost his next three games, before notching a win at Minnesota on September 3rd. He lost his last three decisions & on the last game of the season, became famous for giving up Roger Maris’ 61st HR. From this event he received a lot of media attention, becoming an all time trivia answer. "I'm glad he did it off me. Otherwise, I would never have been thought of again. I've had a good time with it." Stallard said years later. In that game, the HR was the only run he allowed over seven innings, but Boston was unable to score any runs & lost 1-0. On the season he went 2-7, with a 4.88 ERA and got sent back to the minors in 1962 for a tune up. That December he was traded to the New York Mets along with Pumpsie Green & Al Moran in exchange for Felix Mantilla. 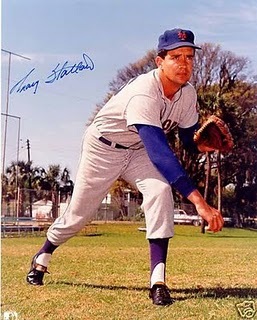 With the Mets, Stallard debuted on April 10th 1963 at the Polo Grounds in relief of Al Jackson. The next day he allowed a walk off HR to the Braves Lee Maye for a loss in Milwaukee. He began as a reliever losing three games in April, but was put in the rotation by the beginning of June. He had a good start in that role, throwing two complete games, while earning victories in two of his first three starts. Both wins came against the Reds, the first at home & then a one run , nine inning performance in Cincinnati. In the month of June he was 3-2 with an ERA of 2.23, but then everything fell apart. He went 3-12 the rest of the way, losing his last seven straight decisions from August 17th on through the end of the season. He had an 0-6 September, & lost and 16 of his last 19 decisions on the season. He allowed earned runs in all but one of those games. He finished up at 6-17 (4th most losses in the NL) with a 4.71 ERA allowing 23 HRs with 110 strike outs & 77 walks (8th most in the NL) in 154 innings pitched. He also threw 12 wild pitches (5th in the NL). The next season was even worse, as Stallard led the majors with 20 losses. 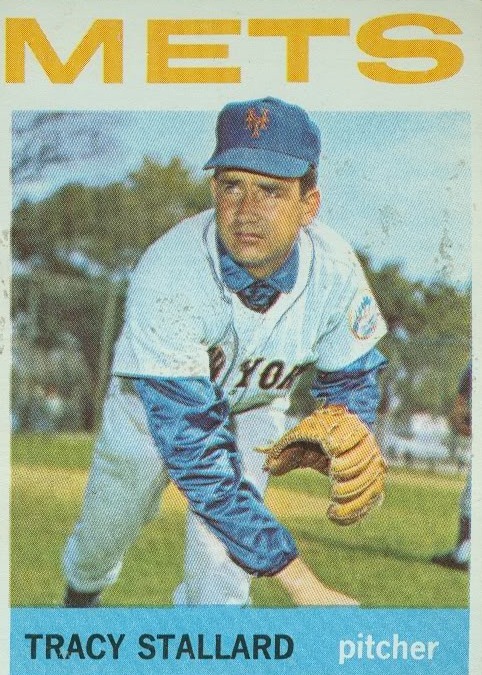 The Mets Roger Craig had led the league in that department the previous two seasons, and Stallard’s own team mate Galen Cisco was his runner in losses up for 1964. The '64 Mets finished last with a 53-109 record. His ten wins were tied with Jack Fisher for second best on the staff to AL Jackson (11 wins). On Father’s Day 1964, he had the unlucky honor to make history again, ending up on the losing end of Jim Bunning’s Perfect game at Shea Stadium. At the All Star break he was 5-10 then lost his next three decisions to begin the second half. In July he started out the month losing four straight. On July 25th Stallard pitched a three hit shut out at Shea Stadium against the Milwaukee Braves as the Mets went on to 10-0 win. He started out August with two straight losing decisions, but on August 4th he matched the Giants Gaylord Perry pitching ten innings. Stallard left the game to a 3-3 tie where he had only allowed one earned run. The Mets lost it in the 11th. At the end of the month he threw two complete games earning wins at home against Pittsburgh & on the road in Cincinnati. His last Mets win was in late September at San Francisco, when he tossed a five hit shutout against the Giants, his second shutout of the season. 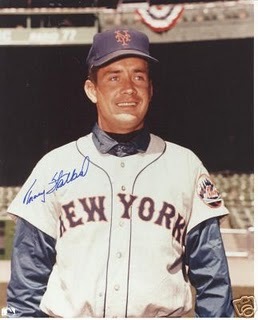 Stallard was 10-20 on the year, eleven times in his 36 starts, the Mets didn’t score more than a single run for him in support. Stallard hung in there, pitching in 225 innings allowing 213 hits, 73 walks, & 95 earned runs while posting a 3.79 ERA. In December of 1964 the Mets traded him along with Elio Chacon for Johnny Lewis & Gordie Richardson. His Mets career ended with a 16-37 record, 228 strike outs 150 walks and a 4.16 ERA in 380 innings pitched over 75 appearances. He had his best season in 1965 at St. Louis going 11-8 with a 3.31 ERA, second best on his team to Bob Gibson. 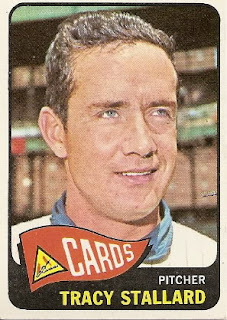 In 1966 he was unhappy pitching in the bullpen and wanted to be a starter again. He got hammered and ended up at 1-5 with a 5.68 ERA , he was sent back to the minor leagues. He pitched there until 1973, never getting another call up to the big leagues. Retirement: He finished his seven year career in 1966, going 30-57 with 477 strikeouts 343 walks allowing 354 earned runs & a 4.17 ERA in 764 innings pitched over 183 games. In a strange statistic, Hall of Famers Willie Mays, Willie McCovey, Roberto Clemente & Frank Robinson all hit below .214 against Stallard. After his playing days he served for many years as a scout.